and their political and legal overseers at the U.S. Department of Energy. More than a year after the two most senior executives at Bonneville Power Administration were escorted out of its Lloyd District headquarters under the cloud of an unfolding hiring scandal, the agency and its federal parent, the U.S. Department of Energy, continue to shield themselves from public scrutiny by systematically blocking and delaying the release of related public records. Among the documents that BPA and DOE have released since last summer are the results of audits and investigations into the hiring problems -- each of them carefully redacted to delete employee names. Yet they described a massively dysfunctional human resources operation that was routinely violating federal hiring rules and sidestepping qualified veterans who should have had preference rights to open positions. The investigations called out the agency's leaders for involvement in, and awareness of, some of the incidents, and said managers tolerated a culture of mistrust and intimidation and routinely deflected oversight from the Department of Energy. Yet even as BPA tells employees and customers that it has made substantial progress mopping up its hiring fiasco, it is still sitting on overdue requests from media outlets and individuals for executives' e-mails, lobbying communications, audits, inter-agency correspondence, credit card statements and other records requests made under the Freedom of Information Act. The Oregonian alone has seven requests pending, some of them more than a year old, with no sign that the agency is any closer to making a substantive response. Public agencies are required to respond to records requests under the Freedom of Information Act within 20 working days. They can unilaterally extend that deadline if it's not possible to meet, but must provide an explanation of the unusual circumstances that require the delay and a reasonable timeframe for a response. BPA has never provided any written explanation for its ongoing delays beyond the fact that they were complex and in some cases, necessitated consultation with other agencies. Agency officials initially claimed its small staff of records specialists were swamped by the volume of requests that flooded in after the hiring problems became public last July. Yet it hired additional staff and has continued to complete requests that are outside the scope of its hiring problems. Moreover, the BPA's FOIA office finished processing some of the requests months ago, and they now appear to be stuck in a loop between Bonneville's internal lawyers and their political and legal overseers at the U.S. Department of Energy. 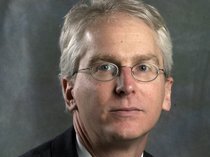 In July 2013, for example, The Oregonian requested the emails of former BPA Administrator Bill Drummond -- one of the two ousted executives -- in order to shed light on his knowledge of, or role in, the hiring scandal, as well as his sudden suspension (all emphasis mine). The agency initially failed to meet the 20-day deadline. It never explained subsequent delays, but notes on its website that it first finished processing the emails and sent them to the Department of Energy last October. The DOE sent them back to BPA in January for revisions, and BPA returned them to DOE in February. Its unclear if they have made any additional round trips to Washington, D.C., but BPA's FOIA office says the emails were recently returned to BPA's general counsel's office. In the end, BPA failed to meet three separate target release dates for Drummond's emails. Two weeks ago, it sent a letter setting a new one -- Sept. 22, 2014 -- without any explanation of the delay. "In an effort to be thorough, we are still reviewing some of the documents," said BPA spokesman Doug Johnson in a statement e-mailed on Tuesday. "However, we are making good progress and are aiming to meet the revised date for the provision of this material. This is a complicated request on an equally complicated matter and accuracy is of the utmost importance." Johnson later clarified that the statement applies to all seven of the Oregonian's overdue requests, and that "accuracy," in agency parlance, refers "consistently and appropriately applying FOIA exemptions as they relate to redactions." Drummond and BPA's chief operating officer, Anita Decker, were forced out of the agency after DOE investigators determined that they knew about and tolerated retaliation against whistleblowers at the agency, despite reportedly receiving specific instructions from Deputy U.S. Energy Secretary Daniel Poneman to suspend any adverse personnel actions against employees. 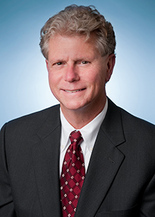 In comments he made to the energy trade publication Clearing Up this spring, Drummond denied there was any retaliation and questioned the integrity of DOE's investigation and of Poneman, saying he declined a transfer to another position within DOE because he "would not work with a deputy secretary I do not trust or respect." He also told the publication that Poneman specifically told him not to talk to anyone in the region's Congressional delegation about the hiring problems and to direct all inquiries through the DOE. Poneman, who recently announced his resignation from DOE, later testified in front of a Congressional hearing that he never made that instruction, and that he'd made it clear anyone could come forward without fear of reprisal. DOE, which has exercised something of an information blackout on the hiring scandal since last July, did not return requests for comment. In August 2013, for example, the publication requested a report commissioned by BPA's former head of human resources, Roy Fox, on one of the whistleblowers in the hiring scandal. BPA missed the first deadline, and two months later released of a 24-page report that it redacted almost entirely, claiming it was attorney client work product. Seven months later, it issued a final response, saying it found 451 responsive pages. It withheld 409 pages and released 42 pages but heavily redacted them, citing privacy and the protection of interagency memos that would not normally be available to anyone outside discovery in a lawsuit. Seattle lawyer Dan Seligman, who maintains a website called BPA Watch, says he's had similar issues pulling information on the hiring scandal. For years, he says he has tracked the relationship between BPA and Washington2 Advocates. He says the Bellevue, Wash.-based lobbying firm was paid about $900,000 between 2001 and 2013 under a sole source agreement to help BPA monitor and congressional actions that could affect BPA. Seligman says BPA and DOE has declined to date to release emails between former BPA Administrator Steve Wright and Tony Williams of Washington2 Advocates. "This FOIA was due a year ago and has been sent to the Department of Energy in D.C. for review," he said. "That's where it sits with no explanation for the delays. BPA itself doesn't seem to know what is going on." Seligman says he's been told by BPA employees that the FOIA response is sensitive because BPA discovered that Wright was using his personal e-mail account to conduct government business. "We do not know what happened to those records but it appears that Wright destroyed numerous e-mails and only a handful are left,'' Seligman said. DOE is dragging its feet about releasing the handful of e-mails that remain." He said he wrote to Poneman but has not received a response. Asked Tuesday whether he used his personal email for government business or destroyed related emails, Wright said he had no comment. "As no documents have been released, there's nothing to comment on." The Oregonian's request for Wright's BPA emails concerning the hiring scandal and subsequent investigation -- most of which occurred on his watch -- yielded only a handful of emails. But they did suggest that he was repeatedly made aware of the unfolding problem, despite his assertions to the contrary. The agency has released a few records to The Oregonian relating to its hiring problems, but those too have been heavily redacted to remove relevant material. For instance, the agency responded to The Oregonian's request for a memo sent to the agency's current administrator, Elliot Mainzer, from a hiring manager accused of ongoing retaliation against a whistleblower. The manager prefaced his memo by saying he simply wanted to share his thoughts in advance of a meeting with investigators. The agency redacted the entire letter as "advisory communications." The agency also has declined to release records that could shine a spotlight on the conduct of senior managers in other areas. This spring, for instance, the agency released an internal audit to The Oregonian that described abuses of government issued credit cards by BPA employees, but made the release only after it was clear the newspaper had already obtained a copy of the audit. The credit cards are issued to employees with the strict stipulation that they only be used to cover travel expenses, and the audit said any personal uses of the card amount to an interest free loan from the government, and is a violation of federal law. Yet BPA has refused to release the credit card statements of a senior executive who was reportedly taking personal cash advances on the card, saying there is no public interest in the information and that it would constitute an unwarranted invasion of privacy. The Oregonian appealed that denial, and the DOE last week remanded the decision to BPA so it could provide a more thorough explanation of its denial. The newspaper will appeal again.